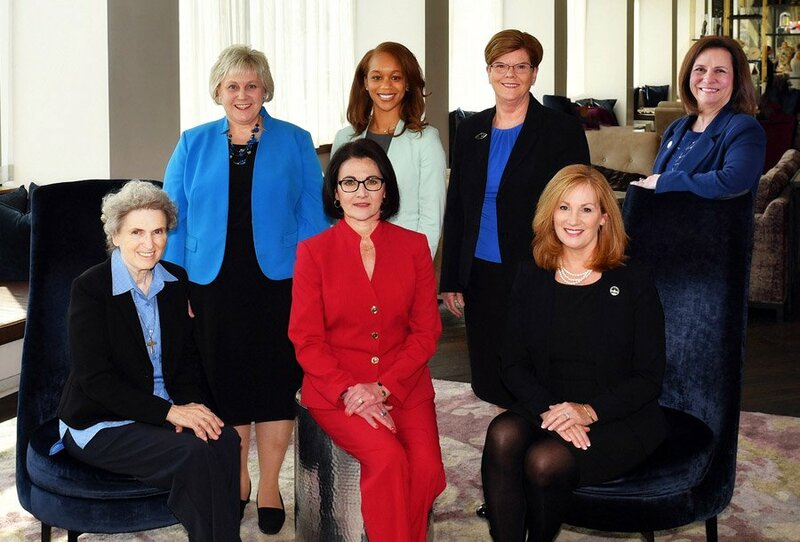 The Northern Kentucky Chamber of Commerce Women’s Initiative will honor women who exemplify notable achievement, outstanding service in their professions or to the Northern Kentucky community, and the qualities of personal integrity, perseverance and leadership. Outstanding Women: Dr. Julie Metzger Aubuchon, owner, Metzger Eye Care; Florence Tandy, executive director, Northern Kentucky Community Action Commission; Alecia Webb-Edington, president, Life Learning Center. Emerging Leader Award: Kristen Smitherman-Voltaire, director of diversity, inclusion and community engagement, Gateway Community and Technical College. Helen Carroll Champion of Education Award: Kathleen G. Bryant, executive director of student and community services, Boone County Schools. Henrietta Cleveland Inspiring Women Award, presented by St. Elizabeth Healthcare: Kentucky State Rep. Kimberly Poore Moser, director, NKY Office of Drug Control Policy. Judith Clabes Lifetime Achievement Award: Sr. Mary Ethel Parrott, SND, provincial superior, Sisters of Notre Dame. The awards luncheon is presented by Northern Kentucky Chamber Women’s Initiative. Title sponsor is St. Elizabeth Healthcare.